Craftastical! : Wedding Day! 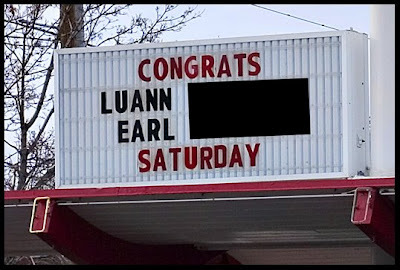 Congradulations LuAnn and Earl! Wedding Day! 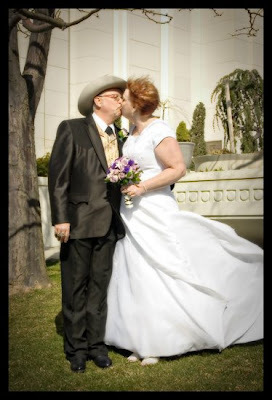 Congradulations LuAnn and Earl! 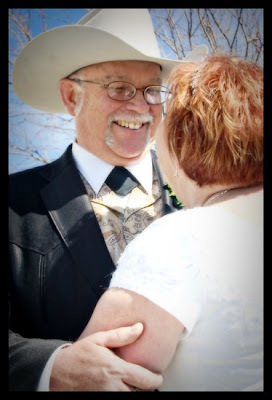 This past Saturday was my aunt LuAnn's wedding. It was just beautiful. My mom cried through the whole ceremony. I took the photos, which was a daunting prospect, let me tell you. The Bountiful temple is up high on the bench and windy. So windy that my reflector was more of a disco ball and completely useless. 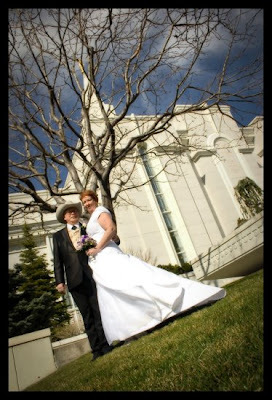 PLUS, it was high noon when we did photos and direct, sunny light. Basically, a photographer's nightmare (I know LuAnn reads this, so I'd like to take this moment to mention that I loved doing your photos and I was honored you asked and the rest of this post is meant to be a funny look at me and not a reflection on how I felt. I was actually amazingly calm, albeit confounded at every turn). 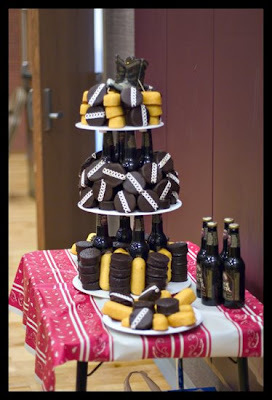 I love love love those Hostess cupcakes. My favorite part is the white loops of frosting on the top. I have a method of eating them so I have a tiny bit of white loop in each bite. I think if those loops did not exist, I would not eat them. This is a time when being the photographer came in handy, because I only ate one, being all distracted by my camera. And of course, because this is the day of crazy, Aubrey pukes all over the stage. Twice. Then we clean her up as best we can, put her in a shirt-dress improvised from an extra shirt I brought for the boys, which she pukes on while on the way out to the car, all over the shirt. I needed to stay to take photos at the reception, so David loaded up all the kids and took them home. I got to ride home with my parent's, sandwitched between my two brothers who are over 6 feet tall, instead of in the front passenger seat of my room van. Joy. Although it was awesome to spend some time with my parents and my brothers, even if Ty spent most of the ride home drooling on me and reminding me that my shoulders are made of bone. Anyway, after the luncheon I headed over to Connie's house to work on the photos. The plan was to get them off my camera, take a look at them quickly, pick one, edit it and then head to Costco to get one printed. I brought up my laptop, my external hard-drive, my camera cord, my battery charger. I thought I had accounted for every contigency. After all, I could always pop in my memory card directly to the kiosk at Costco and get one that way. First of all, I tried to get the photos off my camera. The laptop doesn't have the camera driver installed, but I knew I had a card reader on the laptop. I couldn't get them off of my camera, so I looked around for the card reader. Not the card reader I needed. Oh well, I'll just download my driver from Canon's website. Wait, no wireless signal. Ok, find Connie's jack for internet and plug it into my computer. Find Canon's website. Can't find right driver. Try to dowload what looks like driver. 30 minutes later. Not working. Try googling how to install driver, still not working. I didn't bring up my disk because I figured I could always use the card reader. Download something else. Not working. Try something else. Still not working. 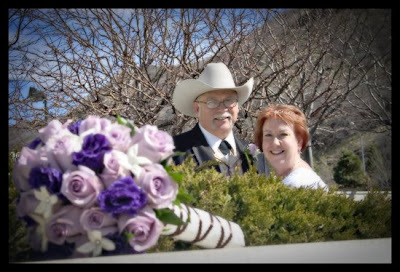 Ok, by this time it is getting close to when we need to leave for the reception, so I take my memory card to Costco. I bring the camera, but leave the battery at home. I stick in my memory card. They won't show up. I shot every last photo in RAW and Costco can't convert the files. I think briefly that I may be able to do it on my camera (which was wrong), but guess what? I've left the battery at Connie's to charge for the reception photos. The universe is against me. This is reaching the tragic proportions of Hamlet or Edipus, my tragic flaw being that I put my trust in technology. The poor guy at Costco got to hear my entire camera story. I knew just how he felt. He was smiling and nodding. I go back to Connie's and try to get them off my camera. Still no luck. At that point, I give up. The good thing about this is that I spent all afternoon trying to get pictures off my camera instead of lugging around tables and chairs to set up the reception. Another bad side effect is that I planned to delete my card after putting the photos onto the computer. I'm a bit tight for room on there now. I made my dad go back so I could get a photo of their names up on the sign. 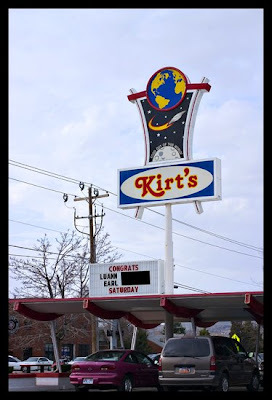 LuAnn used to work at Kirk's. They have excellent food; we all snuck out of the reception for some dinner there so I know it first hand. It was a wonderful day and the best thing of all was seeing my beautiful aunt so happy. She looked angelic. 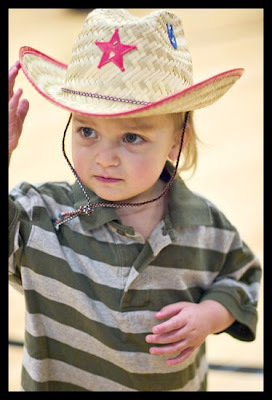 Funny side story, I was showing Aubriana pictures on my blog the other night and she was naming each thing in the picture and when I got to the bridal photos, she pauses and looks for a minute before declaring them "princess." I just came over from 2 peas. I have to say I live right by Kirt's drive inn.